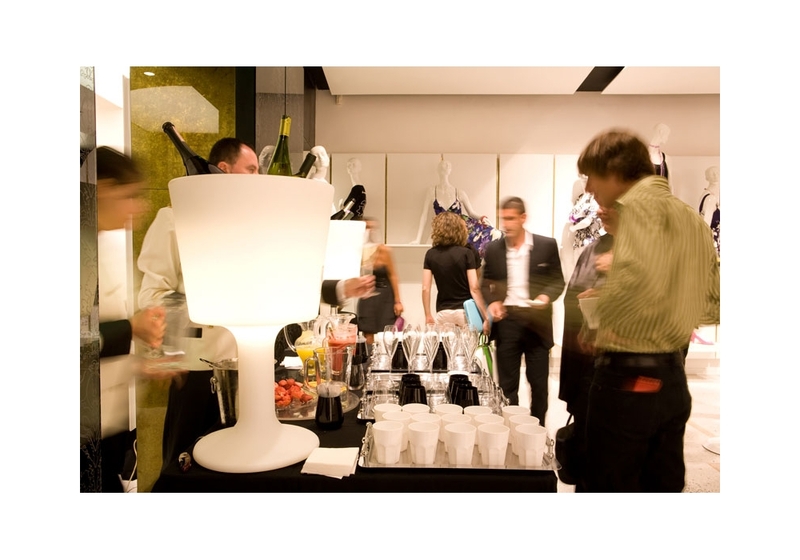 Light Drink designed by Jorge Najera for Slide is a illuminated bottle rack made in polyethylene by means of rotational moulding. 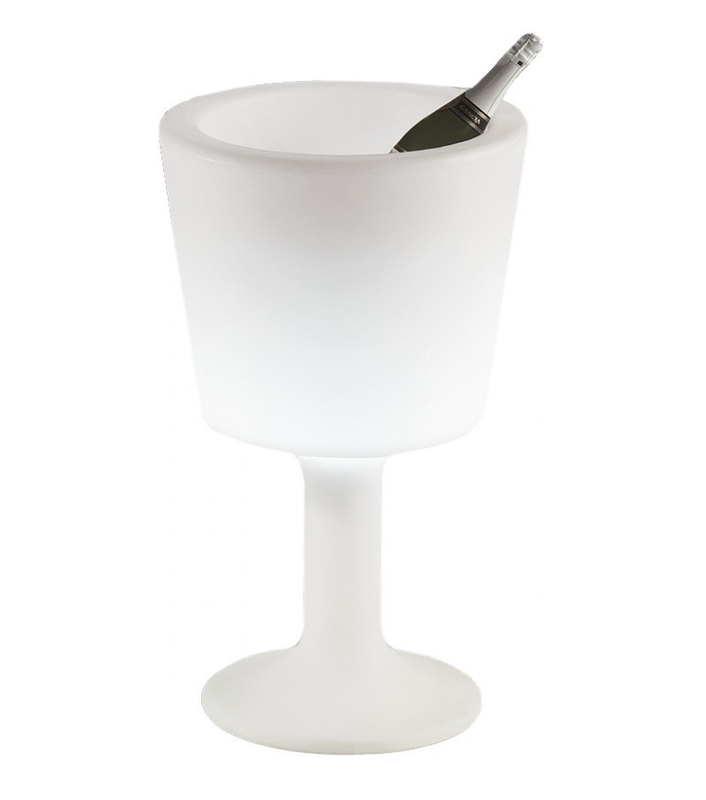 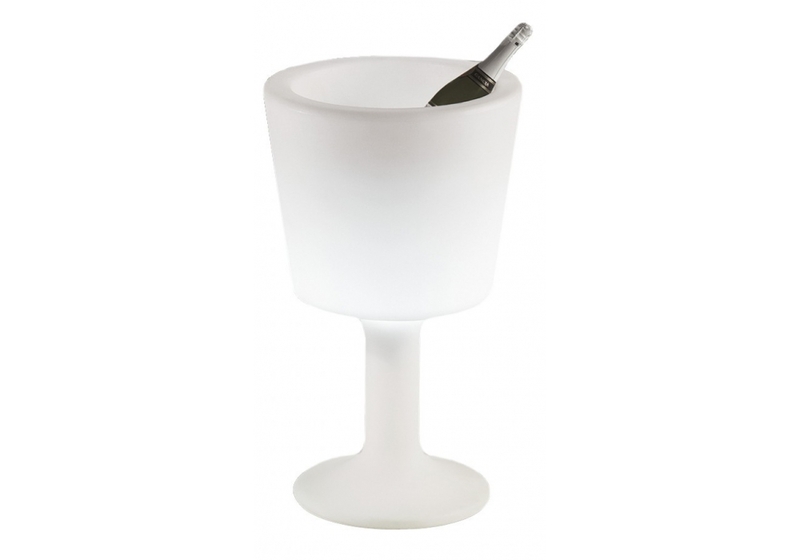 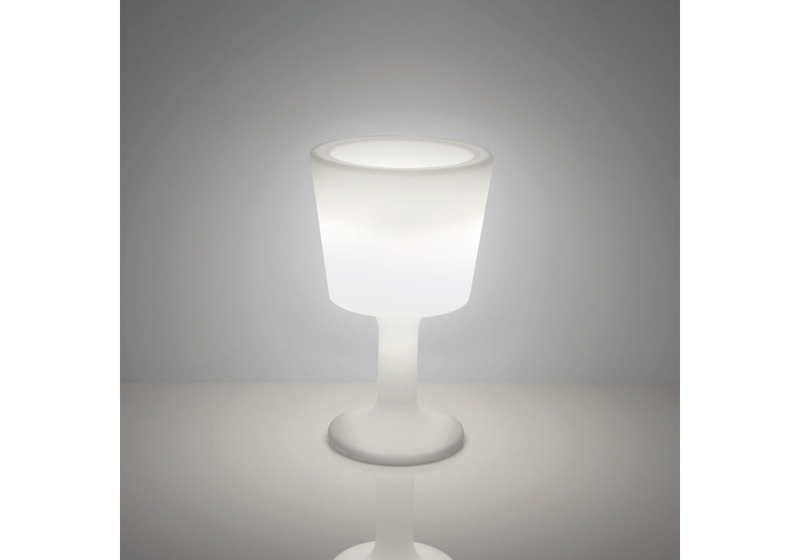 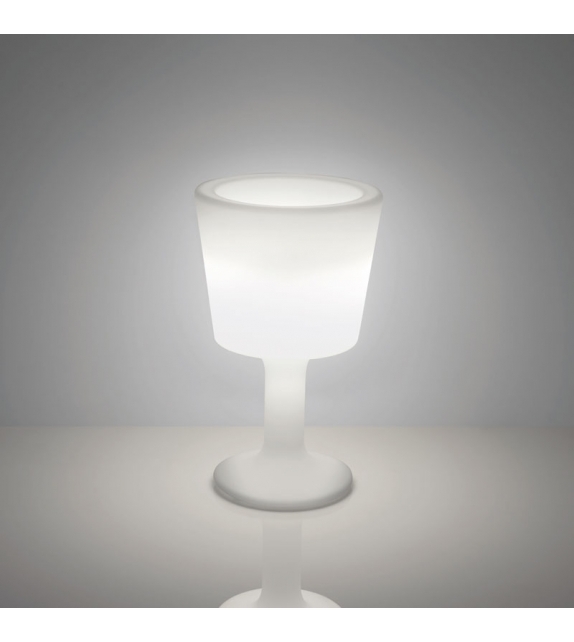 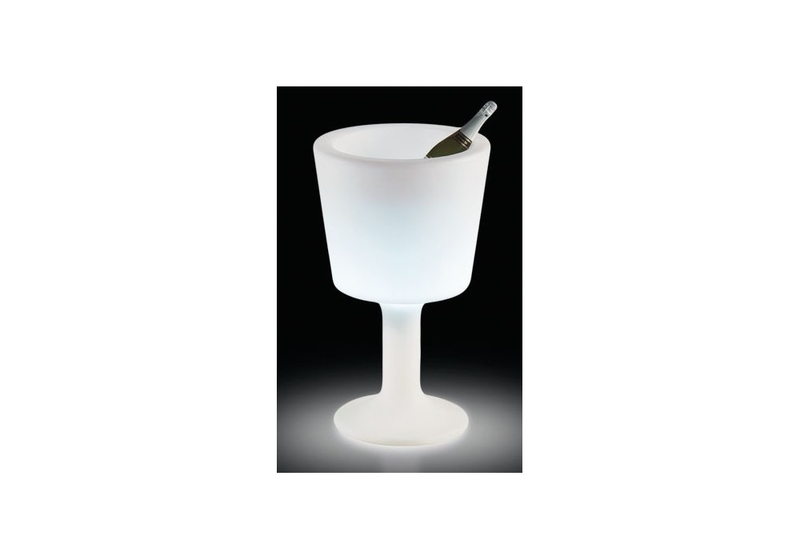 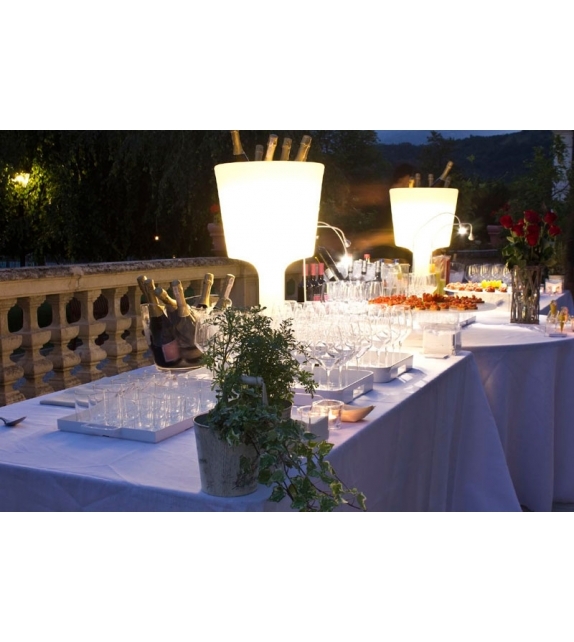 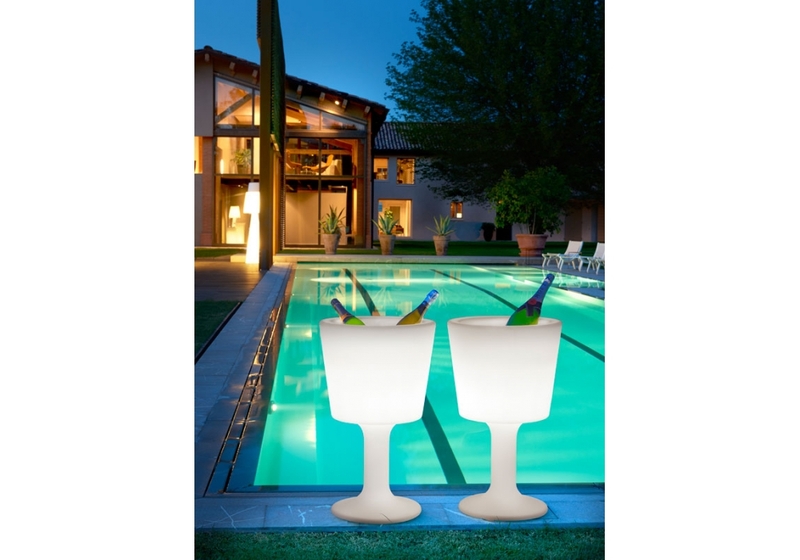 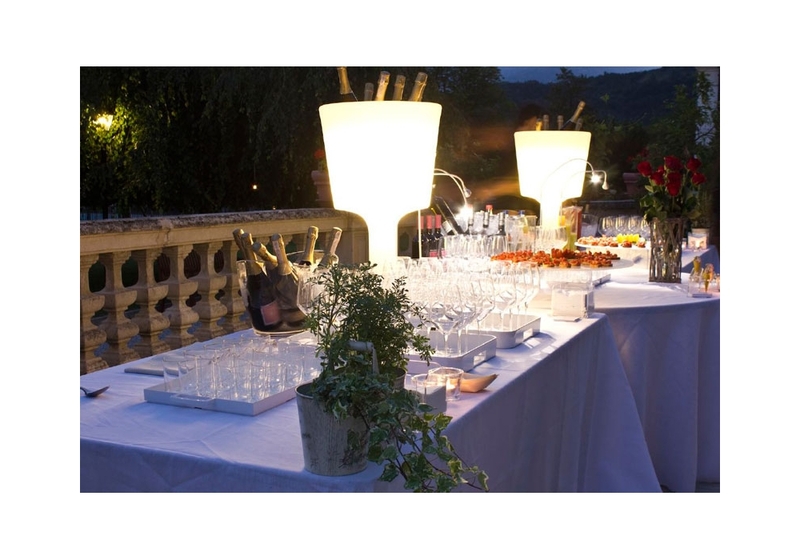 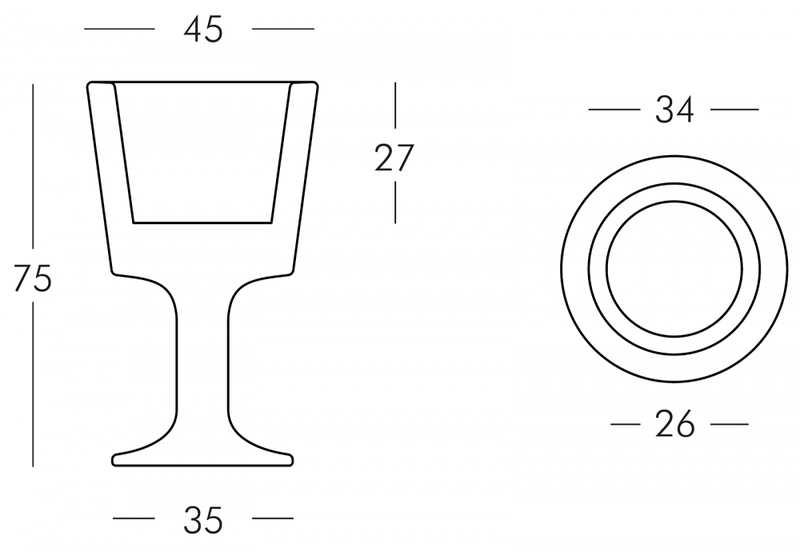 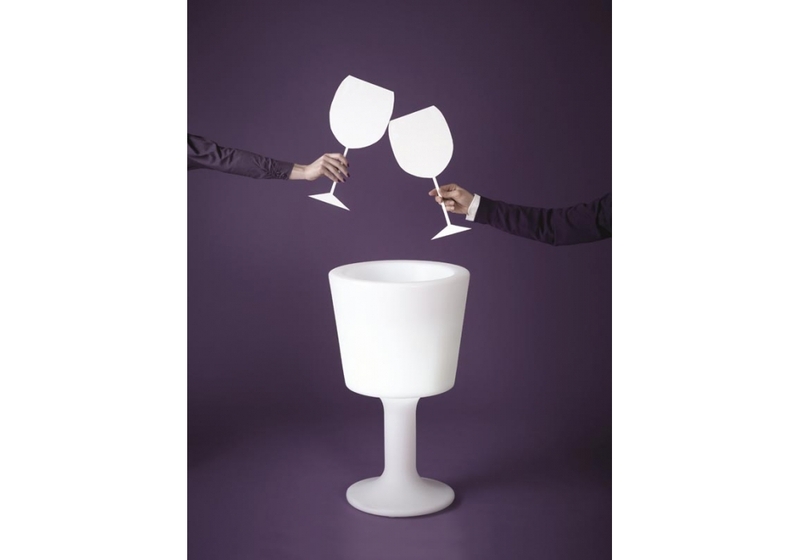 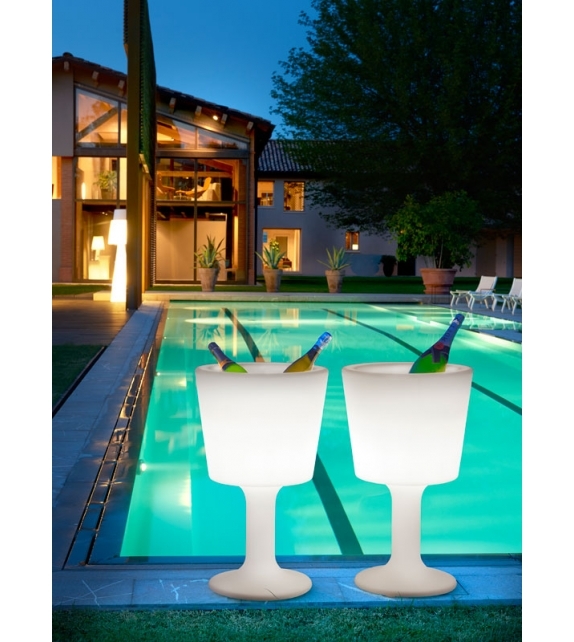 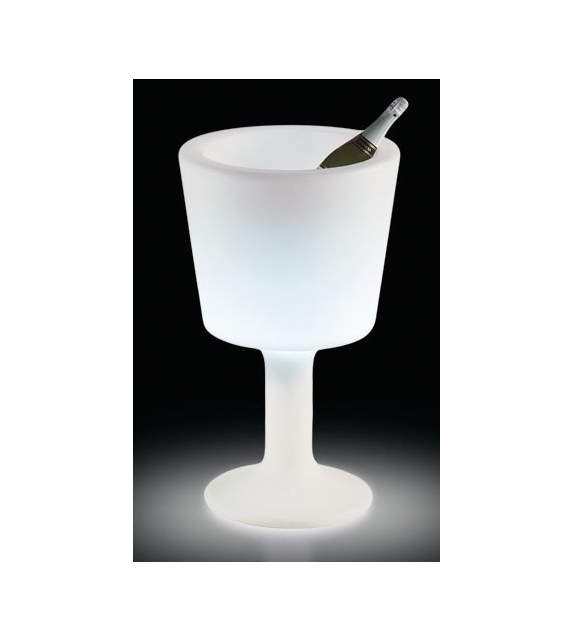 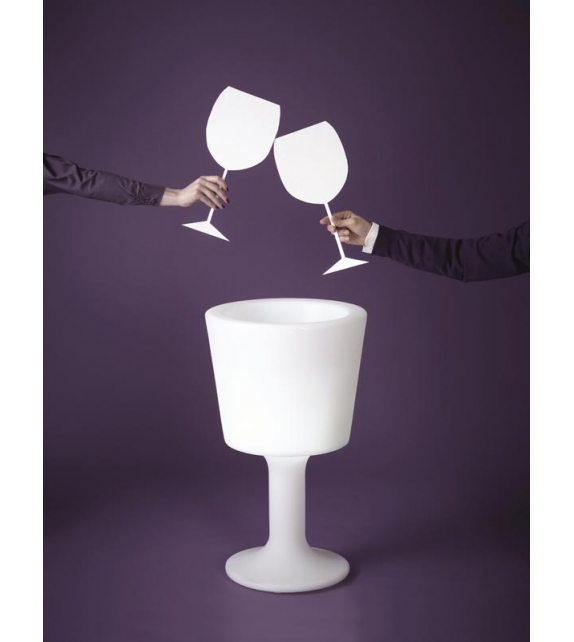 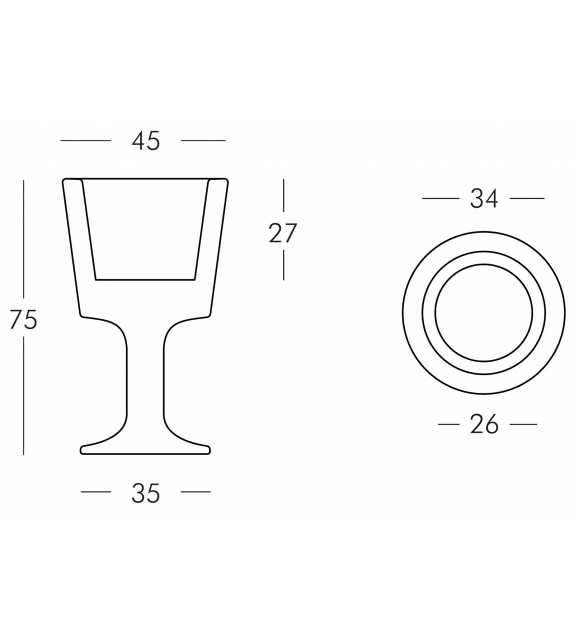 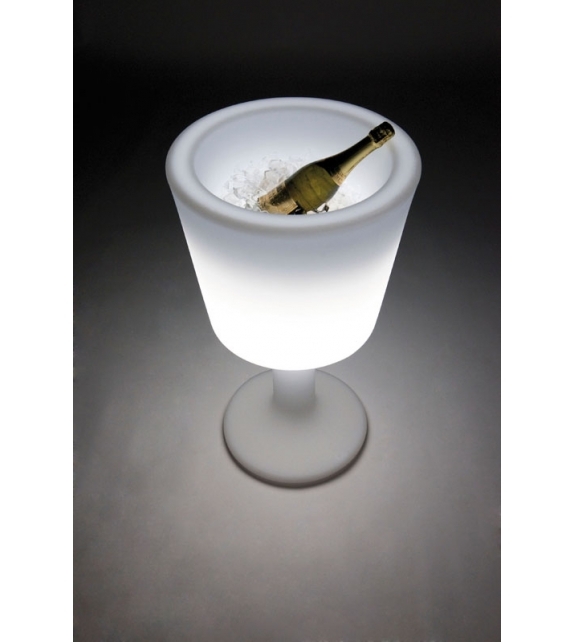 Light Drink is an original atmosphere lamp, with the shape of a glass and can be used indoors and outdoors. 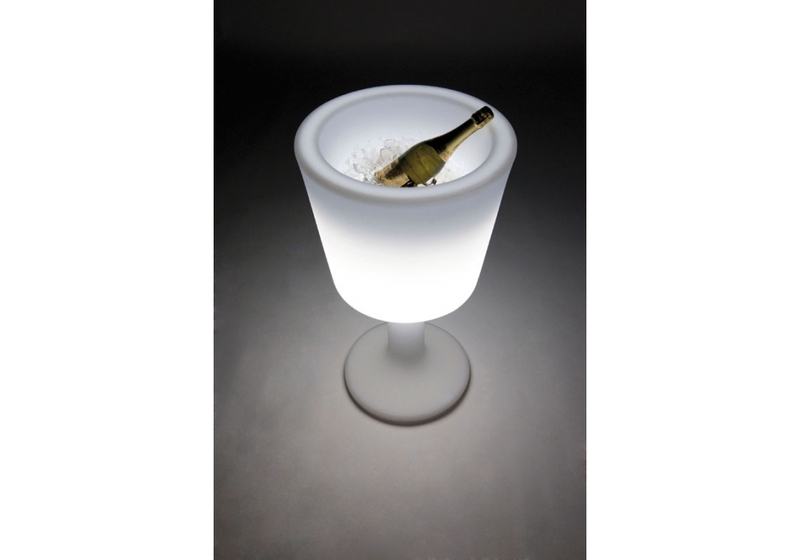 White is the only colour available and can be illuminated with RGB LED technology without cable.